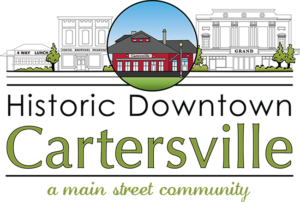 The City of Cartersville, Georgia, has a fascinating history; it is presently prosperous; and, a hopeful future is on the horizon. Cartersville, Georgia, once home to the pre-historic Mound Builders of the Native Mississippian cultures, was also inhabited by the Creek and Cherokee Indians. In the 1830s the area, originally known as Cass County, was settled by wealthy landowners from Savannah. The Civil War brought great hardships, yet Cartersville prospered in the reconstruction years and beyond. 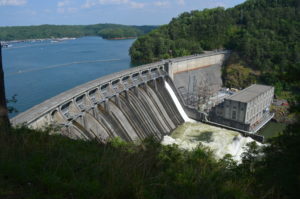 Cartersville is the best dam town in Bartow County! Just about every attraction near Lake Allatoona is right around the corner from this special city. One of the best is Red Top Mountain State Park. This cherished haven is the perfect place to camp, hike, see wildlife, relax, swim, sail, water ski and fish. Cartersville is home to the historically significant Etowah Indian Mounds, the Booth Western Art Museum, and the impressive Tellus Science Museum. A few of the famous folks from Bartow County’s past include baseball star Rudy York, Methodist evangelist Sam Jones, Baptist missionary Lottie Moon, Governor Joe Frank Harris, and Supreme Court Chief Justice Robert Benham. If you move to Cartersville, maybe someday it will be even more famous because of you! If you get tired of the delightful activities or just lollygagging on Lake Allatoona, hop on I-75 and try to find something worthwhile in Atlanta. Good luck.